As some of you may know, I spend many of my days on a farm with the magnificent Thistly Cross Cider, writing words and producing all sorts of content both text and image-based. I haven’t really been discussing my work there much, but it suddenly occurred to me that that’s rather short-sighted since I’m a big believer in the creative, every-day ways that word-weavers, content-creators and story-tellers can utilise their skills. So here’s my most recent feature for Chaat! 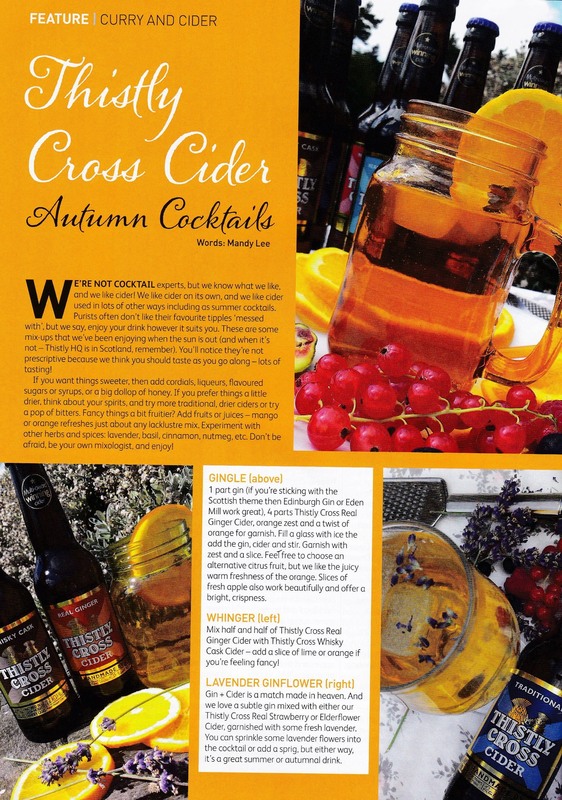 magazine – a piece about cider and cocktails that would be suited to more spicy dishes like curry.